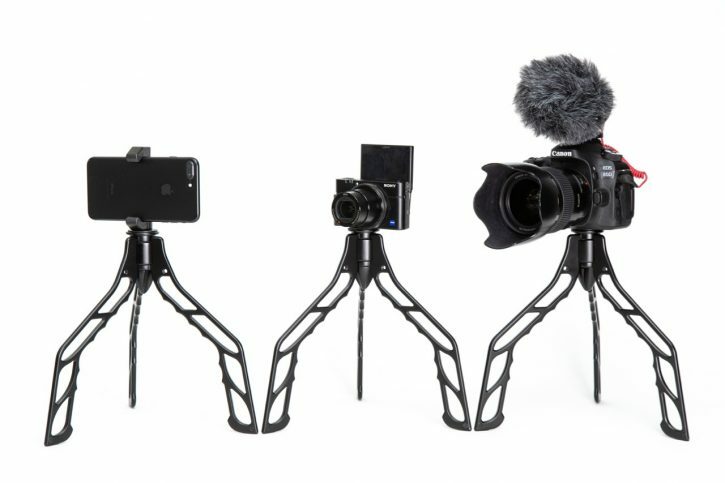 SwitchPod: Lightweight Tripod for Vlogging Reinvented! Filming yourself (or anyone else) isn’t easy, especially when you don’t have the right gear. Vlogging has not just been extremely popular, it has become the norm today. Whether you like it or not seeing people on the street talking to a camera they are holding in front of their face while walking a busy city street is not a big deal today. When it comes to cameras, whether they be mirrorless or DSLRs, or handycam-style camcorders, there’s plenty of choice. Audio is also not a problem these days – there are plenty of companies creating compact microphones and other audio solutions for mobile content creation. But the tripod, the thing that is at the core of your rig, has been a problem. Joby tripods were, and still are, the go-to handheld bendable tripod for vloggers, but it is far from perfect. The bigger Joby tripods (and all knock-offs) are clunky, cumbersome and expensive. Not bad products, not by any stretch, but they were not designed for vlogging. They were designed to help photographer attache their gigantic DSLRs onto fences and branches when photographic wildlife or landscapes. And they are great when used for the purposes they were built for. This is where the SwitchPod comes in. 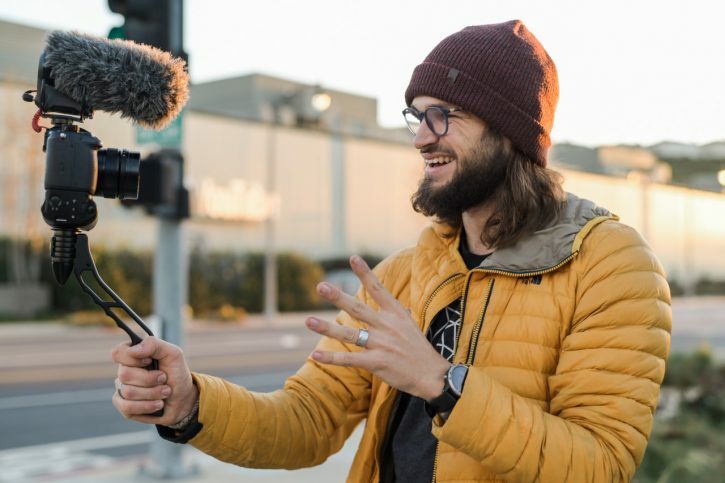 Purpose-built and designed by filmmakers for filmmakers it can take any DSLR, mirrorless or smartphone, and thanks to its innovative and lightweight design it will make vlogging a much more enjoyable process for many. SwitchPod is the vlogging tripod that someone had to make sooner or later. 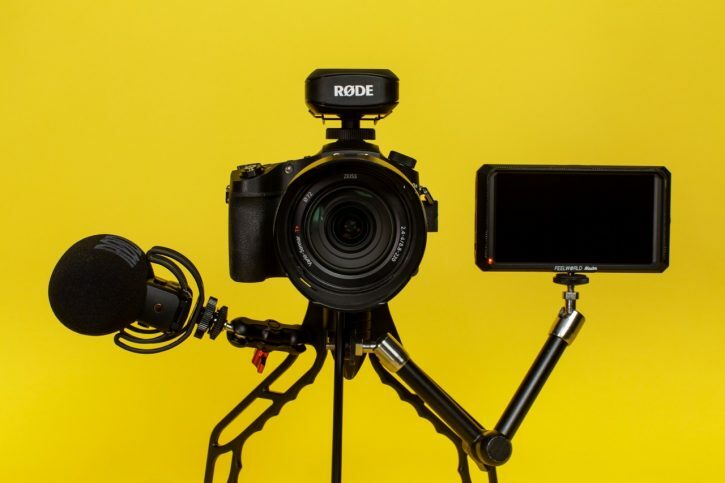 Creators Pat Flynn and Caleb Wojcik set out to do just that – solve the problem that many vloggers and mobile content creators faced by making a compact, and nearly indestructible tripod. They striped the design of the SwitchPod to the essentials and gave it a minimalistic naturally curved form-factor, giving the vlogger more reach and offsetting the camera so as to feel more natural. The SwitchPod’s design allows you to switch between from handheld to tripod mode in seconds, and you can do it with one hand even, saving you valuable time between shots so you can focus more on creating and less on messing with your gear. Thanks to the two included 1/4 20-inch holes you can attach accessories such as external microphones and/or monitors. 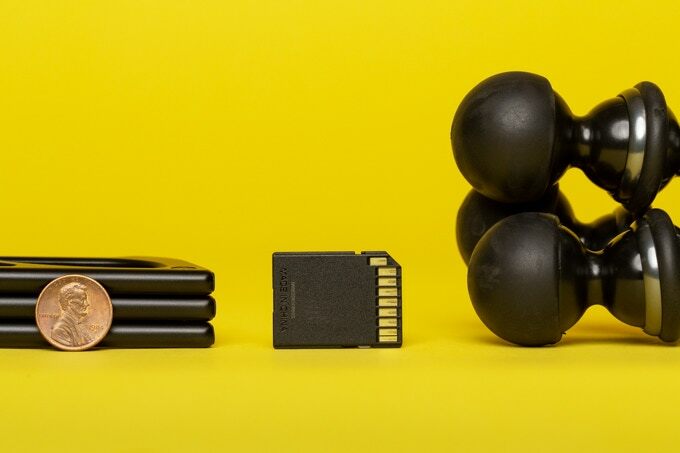 They payload is hefty, they even have a gif with up to 100lbs of weight on their Kickstarter campaign, so no sweat – you can rock you RED camera on there and the 1DX II, because I know this will be asked. The SwitchPod also allows you to attach easily any ball head or compact fluid head you currently own. The SwitchPod works with any camera. The Design allows it to open and closes quickly, in seconds. It’s easy to hold thanks to the ergonomic-friendly design. Non-­slip feet to keep your camera from sliding off surfaces. Features a tightening knob to quickly attach or remove your camera. Strong and durable enough to hold heavy video rigs and won’t sag or collapse like others. Early bird pricing starts at $69 US, saving you $30 off the estimated retail price of $99 at launch. Caleb and Pat estimate they can start shipping the SwitchPod in August/September 2019. Check out their Kickstarter vide below and head over to their crowdfunding campaign to claim yours. Designing and manufacturing a tripod or any other product is not an easy task and in this video you can see just how many prototypes of the SwitchPod these guys went through to get to the final design. Any vloggers reading this? What do you guys and gals think? What is your vlogging setup at the moment? Do share in the comments below. For more details head over to http://switchpod.co/.